A variety of excellent lodging options await when you are vacationing in Hershey, Pennsylvania. Three options owned by the Hershey company are the Hershey Campground, the Hershey Lodge, and the Hershey Hotel. 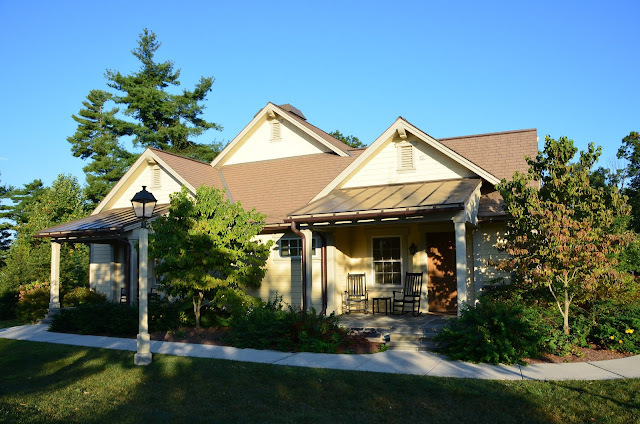 I received the generous offer of a sponsored stay at the Lodge recently, and I toured the other properties. 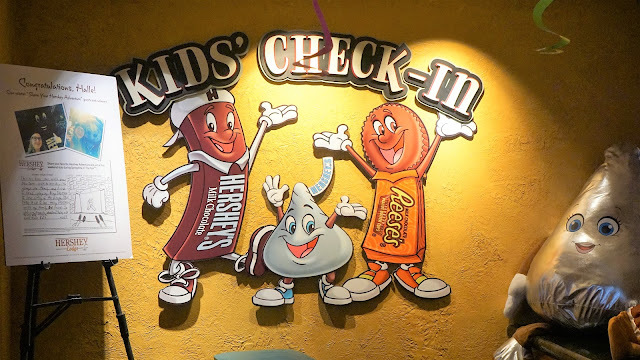 Just so you know, while Hershey hosted my stay, all the opinions are my own. 1. 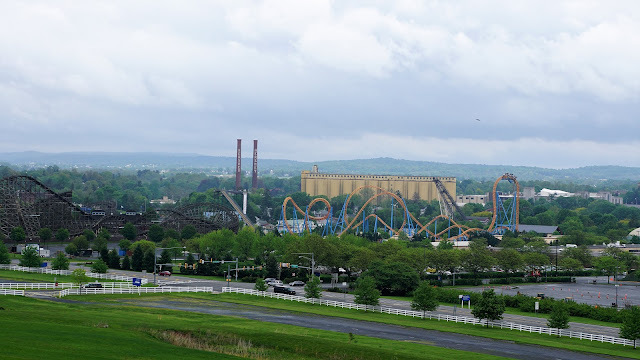 Let's start with the Hersheypark Camping Resort. Absolutely the most budget friendly option. 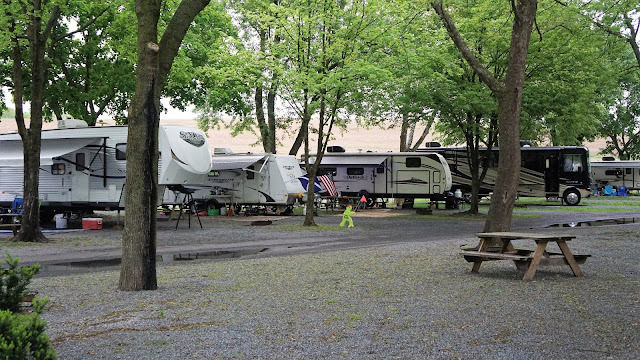 You can pitch a tent, bring an RV (with electric and cable to a full sewer hook up), or rent a cabin. The cabins range from basic amenities (Heat, AC, and power) to the luxurious cabin that has indoor plumbing, and a kitchen. An awesome option for bigger families and larger groups, the two bedroom cabins sleep seven comfortably. 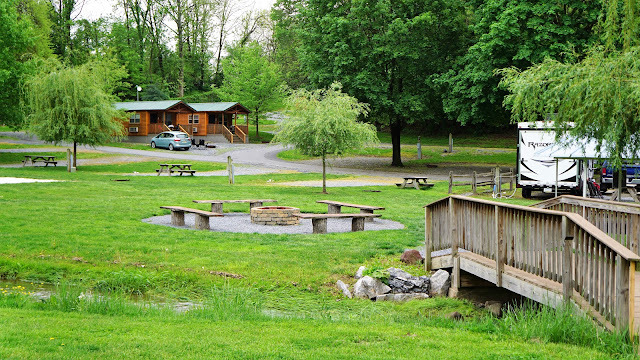 View from the entertainment area towards cabins and an RV area. While you may select a rustic place to rest your head at night, the general accommodations are FANTASTIC. They have a pool for the summer months, movie nights, indoor game rooms, and one of the best Halloween events in the whole park. If you choose the cabin, you won't want to forget your linens, as they aren't included. Hey...it IS camping! Sort of. Let's just call that glamping. shuttle access to the park is complimentary as well as early access to some of the rides, one hour before the park opens. 2. The next option is the Hershey Lodge. I was lucky enough to stay in the lodge, and the first thing I thought was, "WOW! This place would be so cozy during the winter." 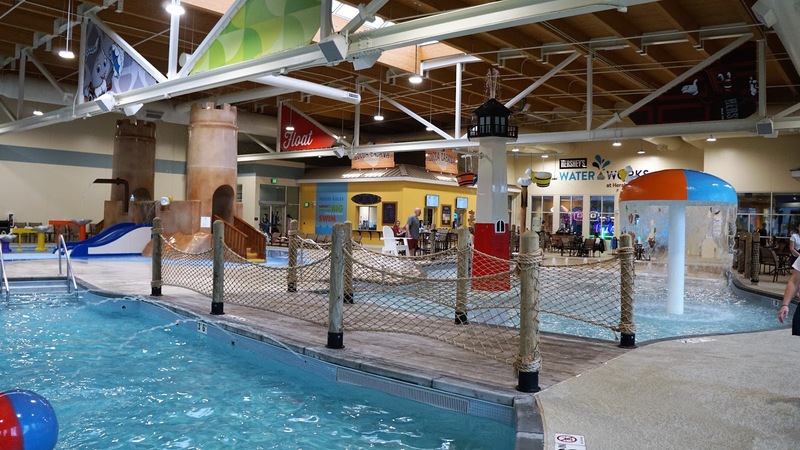 Now with the new indoor water park, and game rooms, you really can enjoy the area all year long. They even told us that they bring some of the education animals from the Zoo, for the guests of the Lodge! 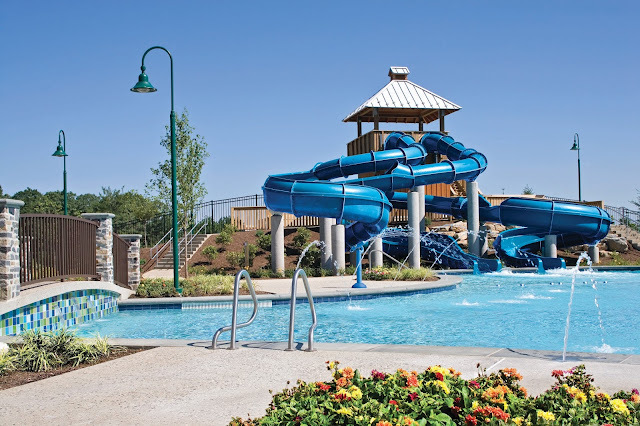 Just a portion of the Lodge Water Park! The lodge has the cutest kids check in area, where each little guest can get some VIP treatment of their own. It also smells like chocolate, when you check in! The sheets and wallpaper are adorned with Hershey Kisses, and it really is too cute. 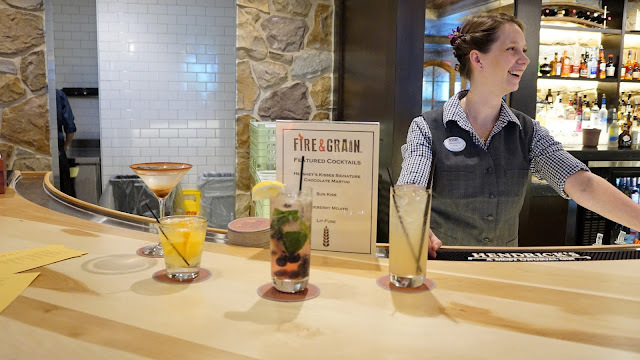 They have a variety of restaurant options, like Fire and Grain, the newest restaurant in any of the hotels. I love that the kids menu isn't just your standard fried fare. Your kiddo can try a pint-sized version of yummy adult options. The fitness center is brand new, and gorgeous. I also must mention the coffee shop, which has the most amazing delicious concoctions that you can imagine. Try the turtle coffee, it is amazing. 3. The final option...the Hotel Hershey. The ultra luxurious, historic hotel was always on my mom's list of places she wanted to go, and I know why! There are many accommodation options from a queen room in the historic section (which are smaller due to the historic nature of the hotel, to a standard two queen room, and my personal favorite-the cottages. If you have a big family, or you are traveling with a larger group (say like a girls weekend via my friend Olivia), you can reserve from four to six bedrooms. Talk about a vacation! Not sharing a room with the kids sounds like a dream! 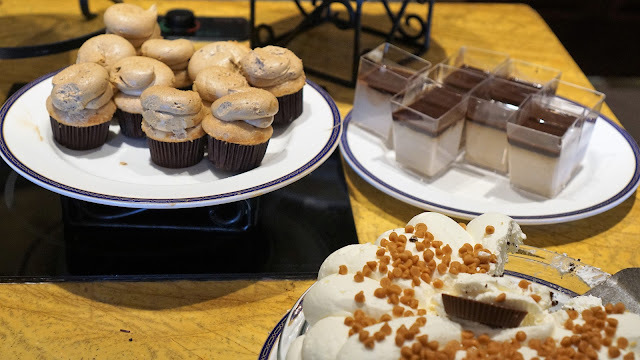 Within the hotel, you can also find a variety of dining like the circular restaurant with the amazing Sunday Brunch, Harvest (now I need to go there next time-HA! ), and the Cocoa Beanery (just like at the Lodge). Exterior of the hotel, part of the original facade. Also at the Hotel you can try FALCONRY. the outfitters, a variety of hiking and fitness trails, character visits, s'mores roasts, and a ton of other options. You can even plan a visit during a running/race weekend! Are you looking for some adult fun, and you aren't sure what to do with the kids? Have no fear, the KIDS CLUB is here! The Kids Club offers full day, half day, or just evening options. AWESOME. Last and certainly not least is the Hershey Spa. The spa alone is worth a visit to Hershey. It is 30,000 square feet of bliss. 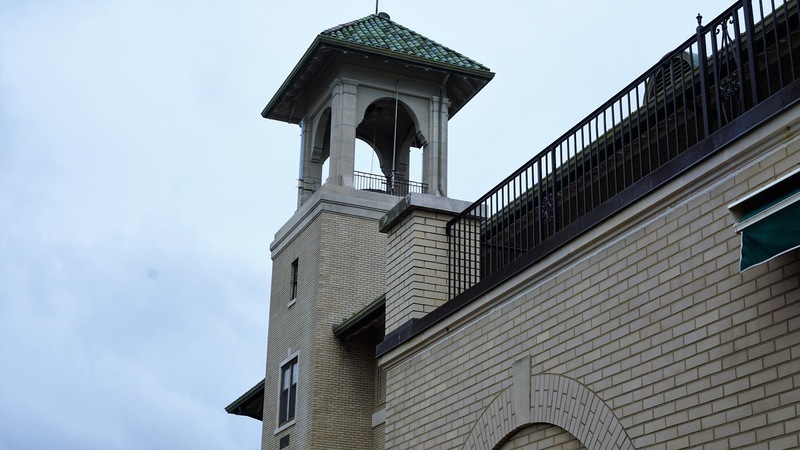 With all of the Hershey properties, you have access to the Hersheypark Preview Plan, and entrance to the Butterfly atrium when you are a guest of the lodge of the hotel. Don't know about the preview plan? You should! The day before your park tickets activate, you get admission to the park. The NIGHT before (isn't that insanely great? ), AND you get one hour early admission to certain rides on the day your tickets activate. OK, now that I have blown your minds, what are you most excited about? !